Electric Rosta bike is still parked on the paper. 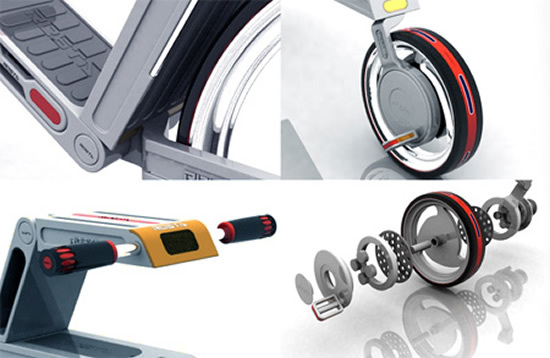 In this day and age, when every thing is shrinking in dimensions in order to best squeeze past the congested traffic scenarios, Rosta wheels comes in with an augmented form. Targeting the roadies, this kind of layout is intended to render best support for a rider when in motion. 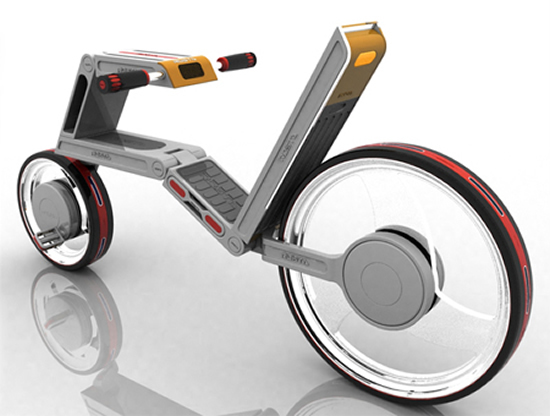 Cheng Feng Peng, the designer has stretched out the distance between the two wheels. This in turn facilitates enough room for an inclined seating option with a back rest. The steering is also bent at an angle to reach out to the user and not vice-versa where the rider has to stretch out to reach the handles. This modification also gives some space for extra legroom down there. Don’t know whether it will actually achieve its goal to provide uber-comfy riding times, but as Tuvie reports, Rosta aims to reduce the neck and back ailments that come along with excessive, long-distance bike driving. Pro-smoking designs bring smokers closer to nature!